Thanks to a May 4 earthquake, there’s now a volcanic eruption happening on Kilauea, a volcano on the southeast corner of Hawaii’s Big Island. The eruption has unleashed several lava flows, compelling authorities to evacuate the area and tell citizens not to roast marshmallows over the lava. 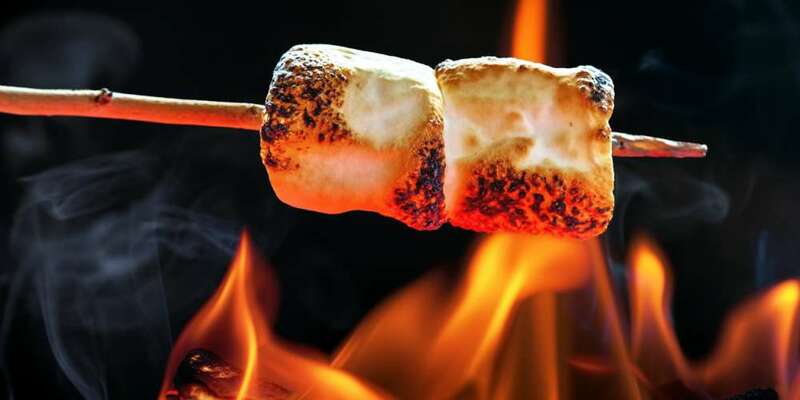 It turns out while a volcano marshmallow sounds delicious, it could actually kill you. Erm…we're going to have to say no, that's not safe. (Please don't try!) If the vent is emitting a lot of SO2 or H2S, they would taste BAD. And if you add sulfuric acid (in vog, for example) to sugar, you get a pretty spectacular reaction. The “spectacular reaction” is the chemical reaction sulfuric acid turning sugar into fluffy black carbon. 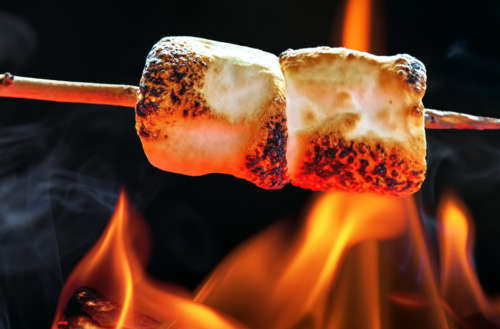 The acid pushes the water out of the sugar leaving inedible charred fluff where your marshmallow used to be. It kind of smells like caramel, but we certainly wouldn’t advise eating it — it’s not poisonous so much as nasty…. kind of like eating a mouthful of ash. Also, lava tends to run anywhere between 1,165 and 2,120 degrees Fahrenheit. Which means, even if you had a very long stuck, your clothes could ignite if you get too close. The rubber on the bottom of your shoes could melt off too. Also, prolonged exposure to volcanic gases can cause you to pass out from lack of oxygen or sustain serious (even potentially fatal) burns. A map of the active lava flows from Kilauea volcano on Hawaii’s big island. 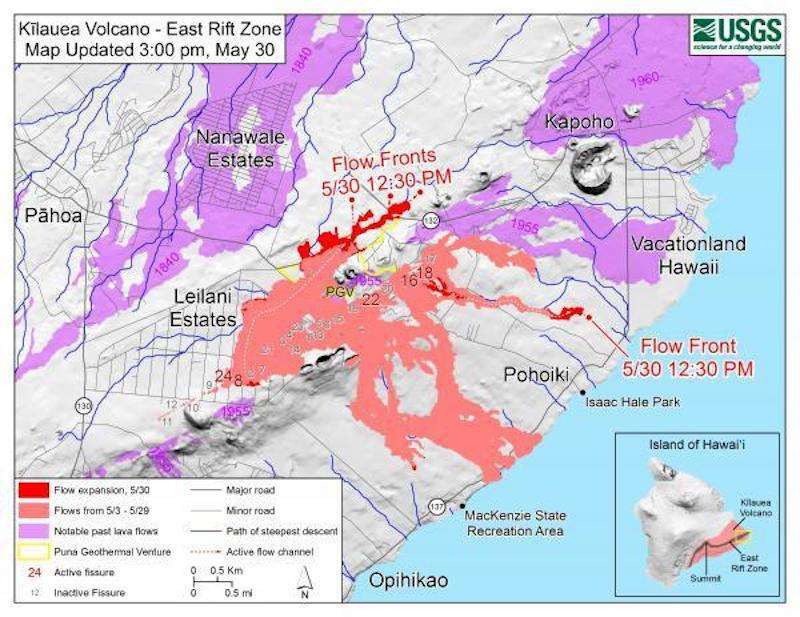 The pink areas are the lava flows from May 3 to May 29, the red area is the new flows from May 30 and the purple areas are older flows from past years. As it is, the lava has knocked out power and blocked roadways in some parts of the island. So far 35 structures, including 26 homes, have been destroyed by the lava, but no one has been seriously injured or killed. The Kilauea Volcano has actually been erupting off and on since 1983. What do you think of the volcano marshmallow warning? Sound off in the comments.